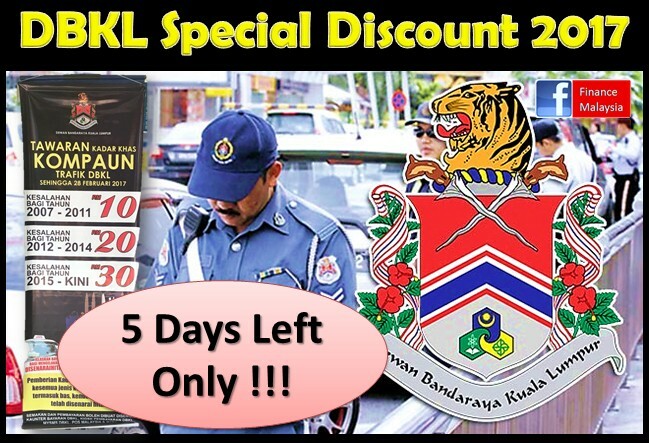 Once again, DBKL is giving a very special discounted rate for traffic offenders to settle their compounds. Again? Haha... Good things should come every year? Anyway, the offer period is until 28th Feb 2017. For all unpaid traffic compounds from 2007 till 2011, the charge is only RM10 per compound, while those accrued from 2012 till 2014 is charged at RM20 per compound and those from 2015 to the present is RM30. What if we still Don't pay? How to use our ‘Ang Pow’ money wisely? It’s the festive season again and Malaysians are blessed with so many different celebrations from different religions and races. During celebrations like Hari Raya, Chinese New Year or Deepavali, it’s a tradition that we give and receive kind of ‘ang pow’. It’s a blessing. But, how we utilize the money given could make a different. More or less, the money that we received can make our life different if we utilize it wisely. And, below options show us some of the wise ways to use our ‘ang pow’ money.